According to the State of the American Workplace Report, more than 40% of Americans say they spend at least part of their time working remotely, a 4% increase from 2012 to 2017. Since a whopping 52 million* people work from home it makes sense to learn how to do it right. This article provides three tips on maximizing your remote work including one that may surprise you. Why are there so many remote workers? Remote work means more flexibility and happier employees. It also saves time and money in areas like dry cleaning, gasoline, and day care. I know these benefits well: I worked at home for IBM for a decade and for the last five years for my own PR firm. IBM’s old rule was that you were assigned a traditional office if you could be in it at least three days per week. My managers and closest coworkers were often in Boston and New York so this Californian usually was sent home to get her work done. That was a win-win. It saved Big Blue a lot of office rent money and I scored a bunch of awards for results. All that extra sleep due to not having to drive two hours a day to and from the office paid off in more energy and awards for results. Times, however, they are a changin’. Sadly IBM Corporate reversed their position on working at home. Luckily I left the company before this happened. I still “bleed blue” by the way; I don’t regret building my career there. The good news is that many companies are still encouraging workers to stay at home. Some established startups I’ve worked with are are mostly home-based. Executives tell me it makes it a lot easier to recruit. Worker retention is probably higher because employees don’t want to leave to change to an in-office role. Here are three tactics I’ve used to be more productive and happier at my at-home job. Wake up early and take a shower. Don’t work dirty! You feel peppy and professional when you are dressed and feeling your best even if the only person who will see you that day is the FedEx delivery guy or gal. Decorate a teleconference wall. Make sure the wall behind you and above your head has attractive decor and the nice lighting. Test what it looks like before a video call with a client or prospect. One test I like is a laptop selfie. I learned this video conference tip from two under 30 CEOs, one in Austin and another Toronto, who had decorated their in-office walls. I thought, people at home should do that too! Get outside every day. Take a walk, run, swim or hike mid-day. Exercise during the work day even if it’s packed with urgent tasks. Remote workers who take on a lot of desk work have the challenge of getting a little lonely. Get outside for a shot of Vitamin D and energy and mood-boosting exercise. Additionally, attend networking groups a minimum of two times a month and invite your favorite client to coffee. When you have a lot of work and you aren’t pitching you clients this tends to happen. When you are wooing new clients it usually doesn’t happen. In summary, if you are starting a company, don’t be afraid to encourage your workers to stay at home more. They’ll be happier. If you want the benefits of working at home like not having to sit in hellish traffic every day, consider moving to a stay-at-home job. *How did I get this number? An August 2018 Statistica report said there were 130.64 full time U.S. workers in July. Forty percent of this is 52 million. Therefore around 52 million of us in the U.S. work at home either all or part of the time. Michelle McIntyre, an award winning Silicon Valley publicist runs Michelle McIntyre Communications LLC. She blogs for VLAB which brings together startups, established companies, VCs and members of academia to promote emerging tech like artificial intelligence. Follow her on Twitter @FromMichelle. Image credit: All are from Canva. Here are some quick press release tips for small businesses and startups. I’m proud to say that I’ve had some phenomenal endorsements for my press release writing and issuing skills. A writer from the San Francisco Chronicle once told me that my press releases, which were actually IBM’s not “mine” were the best he had ever read. Yes, the best. At that time I was mostly publicizing breaking technology records, large amount money deals that were linked to big strategy changes and customer implementations that had mainstream and human interest appeal. I recall that one press release that was quite successful discussed a services contract with a government entity that was trying to fix the technology system that went after deadbeat parents for not paying child support. Who doesn’t care about that topic? The release resulted in wide wire service and other coverage. Granted the compliment about my PR skills happened a few years ago, and the editor has since left the Chronicle, but I never forgot it. Since then I have written fewer press releases; my clients and employers have changed and I have often advised many to do something else besides a press release. I mostly work for small and medium businesses and/or their VCs. Press releases are way too common right now and companies shouldn’t issue them unless they are written like news stories and truly represent press release-worthy news. Here are three key questions to ask to help your team write the perfect press release. Question 1: Does it have such big appeal that more than one media outlet would truly write about it? If yes, write the release. If, no, just post it on a blog or write a letter directly to customers and/or employees. Note that being a “yes man” to the president who constantly wants press releases does not make you look good. It’s better to strategically advice, in a polite but firm manner, about what communication vehicles to use. Be aware that some PR firms will say “yes” to all press release requests to make money. That will drive up hours and money they make. But when a startup pays a PR firm to issue many press releases and sees little to no coverage, they almost always fire the firm. Shameless plug: that’s when they hire me; I “value bill.” I find ways to garner quality coverage that don’t drain the marketing budget. I want to see stories, not a massive flow of documents getting emailed to my contacts. Question 2: Would the press release pass what I call The Teen Test? Would a person not at your workplace find the news interesting? Would your son, niece or grandma understand the implications? An experienced and awesome PR pro, Laura Taylor, who used to be at one of IBM’s PR agencies I had hired on retainer once told me, PR is basically logic. That stuck with me and I repeat it to new and existing clients often. Does your story or news release hold such simple appeal that a wide audience would understand its implications? If you explained your news to your child, perhaps a teen or even a 10 year old, would they say, “That’s interesting.” If not, think about just direct communications instead. Email the news out to clients and analysts. Announce it to employees directly. If it’s on a complicated technology or product, can you include a cool analogy that everyone would understand? Chris Preimesberger from eWeek once told me that he really likes good analogies and that they could make bland tech news more appealing to his audience. Another way to make your news interesting is to talk about application. How can it be used and do people care about that use? For example, is the technology helping fight homelessness or save rescue animals? One press release I issued discussed how collaboration technology helped run an automobile manufacturer better; they reduced emissions and the rates of asthma in that city went down. How did I figure that out? I spent 30 minutes on the phone with the customer who offered those stats when I asked for results. Awesome, right? Question 3: Does it relate to the hottest topic in your industry? If not, will your key top tier reporters care about it? Some are tasked with only writing about certain hot topics. Right now in tech, that has to do with Facebook ads, privacy, artificial intelligence, machine learning, future of work, IoT, and cryptocurrencies. There are probably 20 tech topics that are hot but the world seems to be revolving around AI. If you can link to AI in a meaningful non contrived way you have a better chance at getting attention. Good luck with your press release projects and just be aware that burning a bunch of time and money issuing bland press release after bland press release may be hurting your company’s reputation with journalists. Truly think about issuing a press release only once or twice a year and only when the news is mainstream enough to warrant it. Other times consider a blog post or direct communications. CEOs, public relations and marketing executives come to me often claiming they spend a lot of time developing media pitches and issuing news releases but get no coverage at all. I am never surprised. The landscape is rough and the mistakes people make are rampant. Some journalists like those at Business Insider receive 400 emailed pitches per day. You have to be really smart and think about how to approach them to get any attention at all. Most have been blacklisted by media outlets for making common public relations (PR) mistakes. It is sad that businesses with big agencies and budgets also sometimes make these mistakes. Spending a lot of money or hiring a large PR agency is not always the answer, especially if a junior PR representative is assigned to your account. Journalists will give a little more attention to PR people they know and trust. However, if you have been making mistakes with them for a long time, you may find yourself blacklisted. This could take many forms. They could delete your email without opening it or literally tell their staff not to cover you at all. Sometimes knowing what not to do helps you do the right thing and then get the attention your client or company deserve. Here are seven things to not do. 1. Share “inside baseball” press releases with general news reporters: Pitching something (no pun intended) too “inside baseball” to a general news reporter could get you blacklisted. Something an industry insider newsletter publisher and analyst is interested in is not something The Wall Street Journal may put on its pages. If you want the journal, pitch them something else. 2. Ask THE #1 dreaded question: It’s the question we seasoned PR folk know never to ask; however, the new kids on the block make this mistake a lot. Don’t ever ask, “Did you get my email?” If you think it’s important they see it, say something else when you follow up, like, are there any other stories we can help you with, or what is the best way to work with you? They hate getting notes asking if something is in their inbox. Visit this link for the rest of the tips. The link takes you to Huffington Post. “Entrepreneurs are cool. I frickin’ love working with them,” said David Saxby, a Los Gatos, Calif., serial entrepreneur who advises startups in the internet of things (IoT) space. He has dabbled in investing and has started seven-plus tech companies himself, most winners, others not so much. He is also an IBM vet, like me. He was today’s speaker at the Bootstrappers Breakfast Meetup today at a coffee shop in Sunnyvale, CA. Even though my startup consulting firm is three years old, the key takeaway to me was listen closely at the beginning. Listen to what the market needs are. This will help you get customers. Here are his eight questions. 1) Is the timing right? Is there a need now for your offering? Timing is everything. He added that when he started a voice recognition company in 1982, the timing was definitely off. 2) You need to have something special. What is it? Knowledge, expertise or both? 3) Who are your customers? This is where things get real. Talk to as many people as you can. Be in constant listening mode. 4) Why did you start a company? What drove you? One attendee said maybe the best motivation is not hating your boss. That comment resulted in a few chuckles from the founders there. 5) How will you let your customers know who you are and what you do? This especially applies to technical founders. Then, when there is interest, what do I do with it? The group’s organizer SKMurphy Founder Sean Murphy added some gentle sarcasm when he said, the real problem is, how do you handle the huge influx of customers after your product launch? He added the disclaimer that actually most launches meet dead silence. 6) How big and profitable will this company become? Have some objectives and attach them to your “to do’s.” Think about the market size. What are the characteristics of the businesses financials? 7) What other talent do you need to make things happen? The big problem in the Silicon Valley is attracting software people. 8) Think about money. How will you fund your new business? For example, why bootstrap over other choices? Have you been saving up for 20 years? For more information about Bootstrappers Breakfast visit Meetup.com. The secret to landing media coverage in a top tier news outlet may surprise you. It could be as easy as picking out the right company spokesperson to do an interview. Last night, The New York Times Deputy Technology Editor Quentin Hardy was interviewed on stage by Oracle’s Mike Moeller at a Public Relations (PR) Society of America Silicon Valley event in Redwood City, Calif. Here are Hardy’s words of wisdom for PR pros who want their companies covered. This seasoned tech journalist receives 200 story pitches daily so pay attention. My experience working with him has been good. He’s a careful fact-checker and intelligent question asker. He does his homework so the spokesperson needs to know the topic backwards and forwards. Technology executives pay me to media train them and I have successfully done that many times. However, there is only so far you can go with this. Some people are naturally better at interviews than others. Quentin Hardy needs a quality interviewee and interesting facts to mention a company. Here are some other things Hardy said during the fireside chat. He likes to add value to a story. He wants to explore how things we are doing here in the Silicon Valley or in tech affect other regions. For example, what is it like being a football coach in Texas when everything is being recorded? Tell him how “big tech” affects everyday life and make it heartfelt and interesting. Database technology helps at the ATM but that’s not interesting. Be patient. It was okay that a PR guy pitched Hardy a meeting with an artificial intelligence (AI) spokesman after he wrote about it. He didn’t meet with the expert right away though. He doesn’t find security that exciting because companies won’t talk about problems. 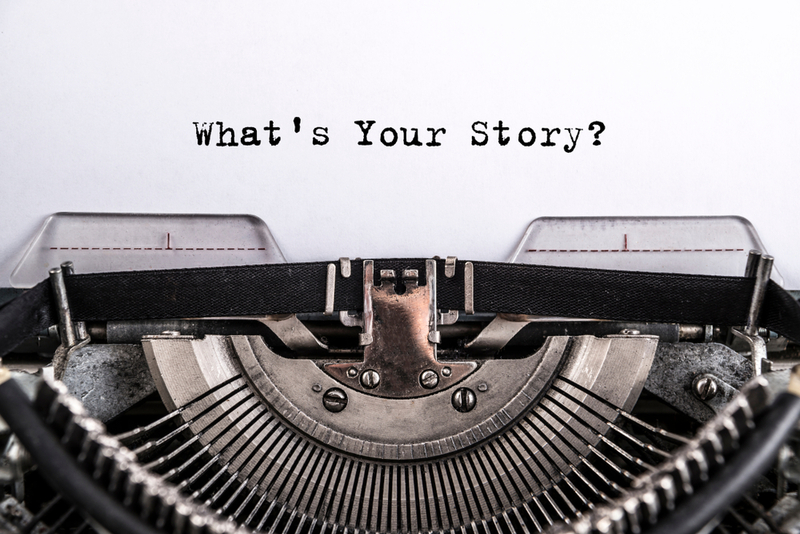 When he receives a story pitch, he asks himself, have I worked with the person before? He considers circles of trust and knowledge. For example, he says, people trust The New York Times. Here’s an example of how he researched a story. The topic was how cloud computing is affecting everyday people. He first researched AWS Meetups finding interesting ones in Omaha and Texas. He didn’t want to use a California example because that is not as interesting. He found that Hudl, a technology used by thousands of sports teams to review and improve play was popular. “No one had heard of Hudl” but they were used by 12,000 of the 14,000 high school football schools. The example he used was a team near San Antonio, TX, that regularly enjoyed 15,000 people in the stands. When he covered drones he used an example related to farming in the Midwest. Quentin Hardy follows Twitter, and regularly reads the Financial Times and The Economist. He added he does not read The Wall Street Journal as much as he should. He finds it amazing how much news is taken in via mobile devices. Event attendees asked him about the future of tech. He says he has no clue what life will be like in five years because change happens so fast. He was asked about the presidential election. He said he finds it interesting that the economy is doing fairly well but people love to say how broken everything is, especially on social media. He has enjoyed watching some of the Valley’s top executives and companies evolve. In 1999 Steve Jobs called him right after an earnings call asking if he had questions. As a result, the earnings story grew from three to five inches. (Hardy was at the WSJ at the time.) He remembers meeting with Google’s co-founder when the company was just a vision. In summary, when pitching Quentin Hardy, it helps to say something about how technology is affecting everyday life. If he needs an interview, make sure the person is able to story tell and connect, and not just robotically convey facts and company messages. The writer of this story, Michelle McIntyre is @FromMichelle on Twitter. She took the PRSASV event photo. The emotional woman photo is from Canva. Feb. 8, 2018 UPDATE Since this story was filed Mr. Hardy left the NY Times and went to work for a technology vendor.